Wow Carl, you're really living the dream, blessed with so many amazing watches. 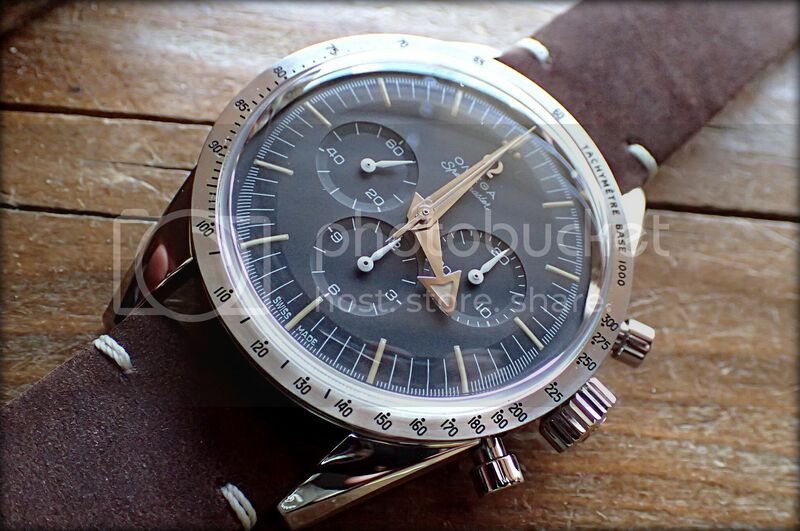 Congrats on the Speedy, I'm very tempted, if I could find one, due to the reduced case size. I believe you're selling some of the collection, wondering if you still have that exquisite Moser. That's a real grail watch to me. Carl, your write up was exemplary as always and congratulations on you recent acquisition of the Speedmaster 60th Anniversary LE. IMHO the Speedmaster LE might be the best of the trio. Thanks, Dan. Sorry for the late reply. After I have my dinner tonight at my favorite Italian, I might have a problem with lamp posts! 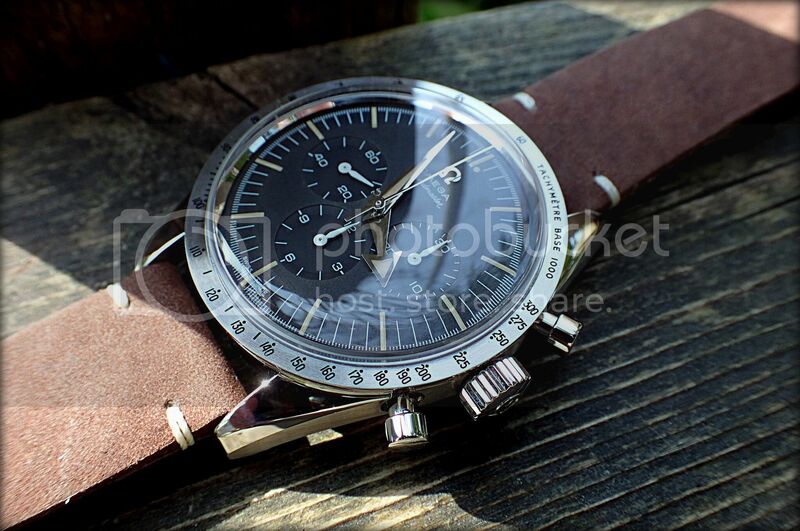 I got the brown leather strap that comes with the Speedy put on today, and I almost did have a collision! Thanks, John. I think you are right. I, for one, never thought in 2017 I would ever have the Railmaster. And, a year later, when I could afford it, there it was. Matter of fact, the local OB has another one and also a Railmaster. I think we might see a few more popping up. Thanks, Nigel. It will be a lot of fun, especially with all the straps they supply with them. I don't really know which one is the most "stare worthy". My favorite is still the Railmaster, and it took me a while to get to love the Seamaster 300. Now I love them all! Thanks. I can scarcely believe I actually have the trio! Thanks, and yes having these watches is a dream come true! I am a very fortunate guy. I think you might find a few still coming up at some of the Boutiques. It is really a perfect size IMO. Yes, I am planning to sell about 5 more watches. Great dilemma to have too many watches! Seriously, though, I want to just enjoy what I have, save some money and take a nice trip now that I am retired. As for the Moser, I certainly do have it, and it definitely will not be going away. My AD has quite a few Moser models, and I keep seeing them as they arrive, but I still like mine the best. And, for that, I am also very thankful. Thanks for that! 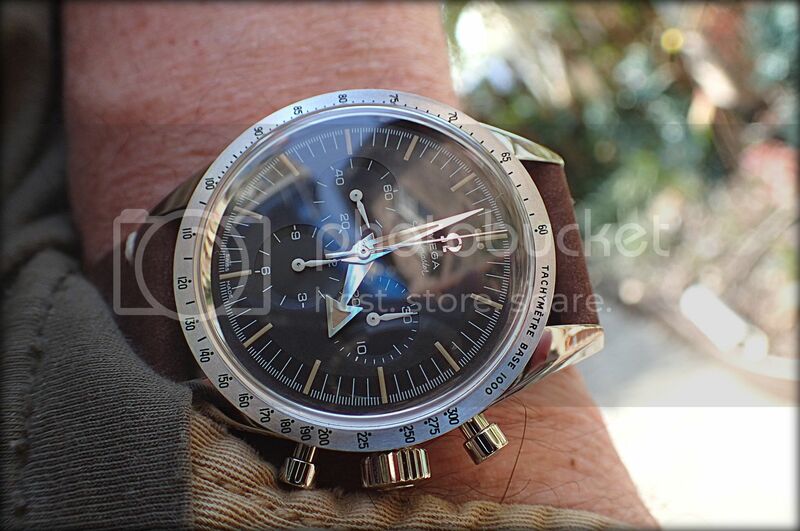 I know that the Speedmaster has been the most popular of the trio, and I can certainly understand why. My favorite is still the Railmaster, but they are all outstanding. Omega has done an amazing job on that Trilogy, and I can't imagine anything better. MuckyMark, 5959HH, Keaman and 1 others like this. Fantastic post! Bravo on all three. Thanks! Having all three is something I never dreamed I would have.